“The Across America Eclipse” was one of the most spectacular natural happenings that occurred in the north Georgia Mountains during the summer of 2017. A Total Solar Eclipse is a rare occurrence and we were fortunate this one came so close to Helen, Georgia. 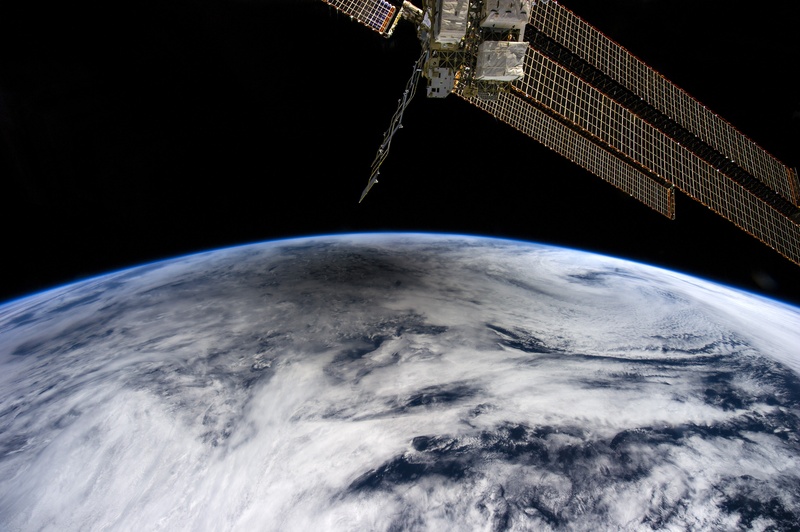 The 2017 American eclipse made its journey from the west coast of the United States through the heartland states to the Atlantic Ocean (and beyond). The total duration of the eclipse lasted only 90 minutes, but all who had the pleasure of seeing it agreed it was one of the most memorable events of their lifetimes. 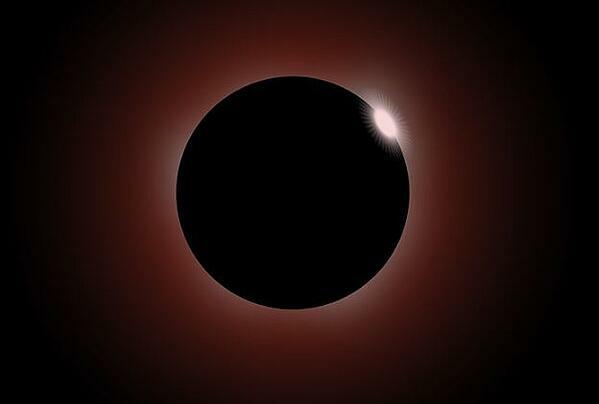 The last solar eclipse in the United States was February 26, 1979. Helen, Georgia was in the enviable position where people were able to to watch this once in a lifetime event surrounded by the beauty of the North Georgia Mountains. 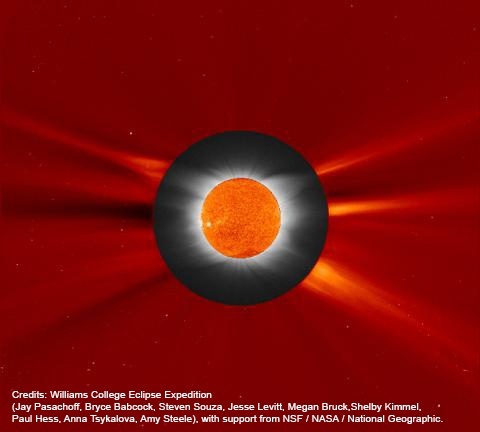 What makes a solar eclipse so special? During a solar eclipse, the Earth, Moon, and Sun are perfectly aligned. The illusion is that, when lined up, the Moon and Sun appear to be nearly the same size from Earth. This configuration casts a shadow on those in the path as the moon travels across the sky. For many people it is nature’s incredible light show that is the main attraction of the total solar eclipse. “This serendipitous fact allows the Sun to be completely covered during eclipse yet also allows us to see the Sun's atmosphere, its corona. 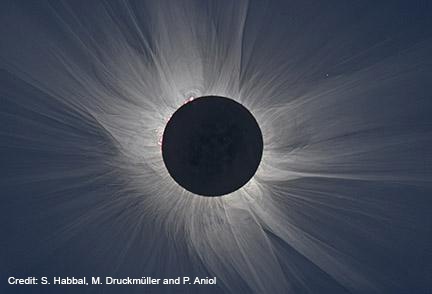 The corona is hidden from us all our lives except for the very special moments during the total solar eclipse. Duration: Total time of the path was only 90 minutes. The greatest duration was near Carbondale, IL lasting for about 2 minutes 41.6 seconds. Total length and width: 8,600 miles long with an approximately width of 70 miles. Speed of the Total Eclipse: The speed of the moon’s shadow moved at approximately more than one thousand miles an hour. U.S. Naval Observatory Astronomic Applications Department provided an interactive form that showed the sun time for cities along the Total Eclipse path. Next Total Eclipse in the United States: April 8, 2024. 1. Do not ever look directly into the sun – even for a few seconds – you risk eye damage. 8. Important! Read this article from NASA which provides more information. It also describes where and when it might be possible to view the Total Eclipse with the naked eye. 1. Staying safe is your number one priority. 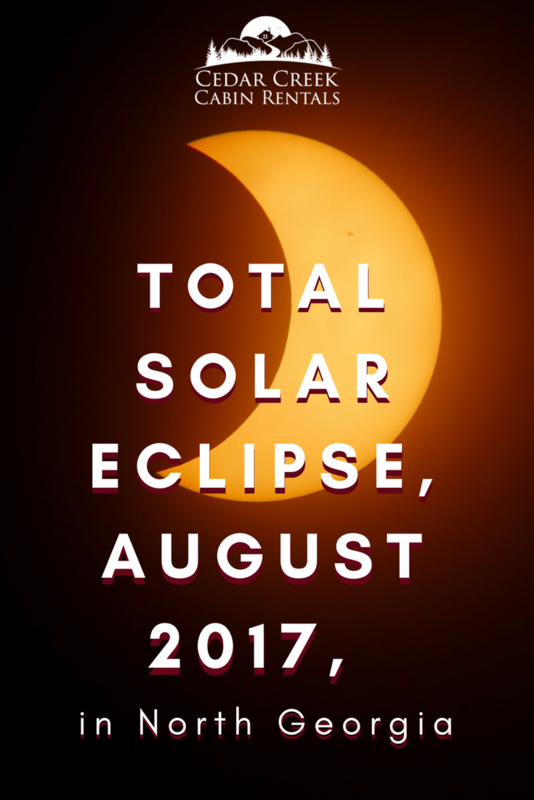 Wear eye protection such as eclipse glasses. 2. Practice. Since the eclipse moves so quickly and it is in your range for a short period of time, you won’t be able to make adjustments to your equipment. 3. Practice. Take pictures of the moon. 7. Do not use a flash. A flash will spoil the dark adaption and ruin the experience for the people near you. We were so excited Cedar Creek Cabin Rentals properties were located in Helen Georgia making them one of the best places to experience daylight turning into darkness, accompanied by the amazing Mother Nature light show. Watching the total solar eclipse was a unique opportunity to share the wonders of nature with friends and family. For people who had not visited the North Georgia Mountains before the total solar eclipse it was a wonderful time to get to know the the region that we love. 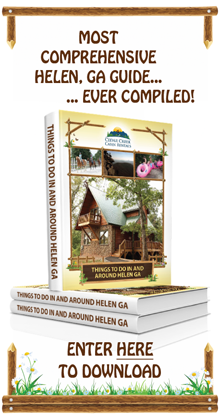 For those who were familiar with Helen and the surrounding parks and trails, it was a time to get reacquainted with the area. We were happy so many of our Cedar Creek Cabin Rentals guests had the opportunity to create memories that will, for certain, last a life time!